The second of three consecutive East Midlands derbies has Leicester home to Nottingham Forest, while Charlton host QPR in a capital challenge and the Gills entertain Swindon at Gillingham FC. With Northern leaders Blackburn without a league game, Nottingham Forest will go top with a victory but they will need to win an East Midlands derby for the second week running, as they visit Leicester. Third-placed Huddersfield host Derby, while Guiseley go in search of their first point at home to Stoke and West Brom also hope to get off the mark when away at Middlesbrough. Crystal Palace and Charlton ain to make it four straight wins in the Southern, with the Eagles entertaining Coventry and the Addicks playing QPR. Gillingham are back at the Priestfield Stadium for the visit of Swindon, sixth plays fifth as Lewes take on Portsmouth and Chichester welcome West Ham with both on three points. 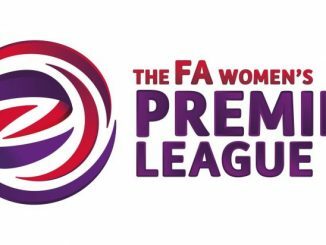 Solihull will ascend to the Midlands Division 1 summit should they defeat Leicester City Ladies, with the two other sides on perfect records – TNS and Burton – not playing. Unbeaten Loughborough Foxes face Radcliffe, Rotherham meet Sheffield United with both yet to win, Steel City host Sporting Khalsa, while winless pair Long Eaton and Birmingham & West Midlands clash. The big match in Northern Division 1 sees table-topping Brighouse at home to a Hull side who have also avoided defeat thus far. A second all-Yorkshire clash has Leeds hosting Barnsley, while Mossley hope to get off the mark against Crewe, who have drawn both their matches. It’s fourth versus first in South East Division 1 with Wimbledon taking on Luton, while second-placed Ipswich have Orient – last week’s top scorers. Cambridge United look to continue their unbeaten start at Stevenage, Actonians are at home to Norwich, Enfield entertain MK Dons and there’s a basement battle between Haringey and Denham. South West Division 1 high-scorers Plymouth head for Maidenhead, Cheltenham tackle Southampton Saints who have won all three games to date. Third-placed Keynsham play Poole in fourth, Basingstoke’s fixture with Brislington is being played at the changed venue of Winklebury Football Complex, while St Nicholas and Larkhall meet with neither yet having registered a point.